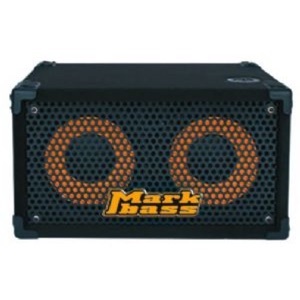 MarkBass Traveler 102P bass speaker cab delivers probably the smallest and lightest 2x10 cabinet that you'll ever come across. MarkBass Traveler 102P 8 Ohm bass cabs weigh in at only 15 kilos making this is an extremely easy cab to carry up those back stage stairs. Don't be put off by the size of the Traveler 102P 8 Ohm cab, thanks to the ultra-light neodymium speakers the Traveller 102P really whacks it out and you could also add the Traveler 151P for a punchy full-range sound. •SPEAKER SIZE: 2x10 inch Ultra-light Neodymium speakers.